Southern Custard is a premium frozen custard shop located in the greater Atlanta neighborhood of Brookhaven. 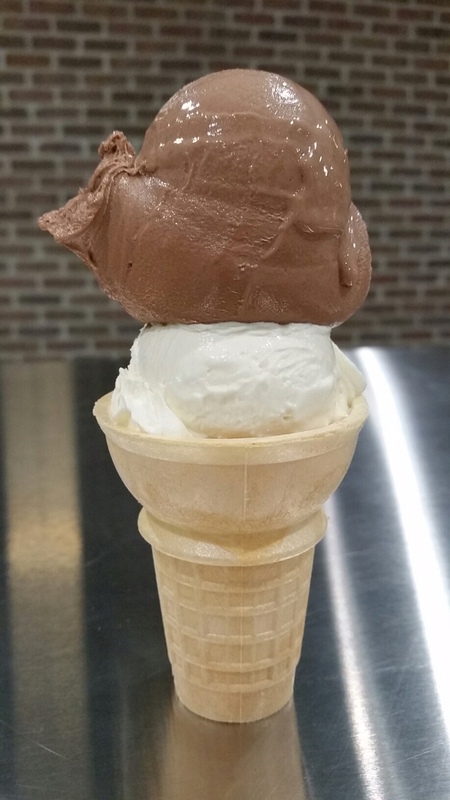 We specialize in freshly made frozen custard, espresso and other delights. It is a very dense, rich, creamy dessert that is frozen with a special technique to give it a perfect smoothness. Vanilla & Chocolate made every day. Check our Facebook page for Flavor of the Day! Freshly made pancake puffs served warm, paired with frozen custard and toppings. Delicious. Winter Hours are officially over! It’s Springtime at Southern Custard! New longer hours! CBS46 WGCL-TV Atlanta. Southern Custard featured on Atlanta Plugged In! The custard is ready to serve! We are perfecting the details. We'd love to have you stop by, give it a try, and let us know what you think. It's true. We are making frozen custard, and it is excellent. Doors are open. Send us a message if you'd like to join our mailing list for promotions and updates. You are smart and take responsibility seriously. You are passionate about frozen custard. We are hiring, and looking for you!